Both teams have a 3-4 record and there is a tie for third place between three teams. Clearly this is going to be broken by the end of the match and the outcome will not only impact on these two teams but on the other teams in the group who are still pressing hard for a Top 16 spot. This is likely to be a high pressure game in France on Friday night. Strasbourg is yet to lose at home this campaign and if they can keep this run going until the end of the week, they will be very well placed for the Top 16. The French side are currently outside of the Top 16 places but a win will change this which means that the form of Rodrigue Beaubois is likely to be crucial. He has grabbed the majority of points for the hosts so far this season and if he steps up to be counted on Friday night, the look of Group A may be very much changed by the end of the evening. The away team grabbed a big win when the two teams last clashed in Round 3 and Nihad Djedovic and Dusko Savanovic were in great form. These two players combined for 40 points on that evening and if they can achieve anything similar this time around the Germans will be looking rather comfortable in the group. Bayern won on the road for the first time this season in their last outing, when they defeated Khimki Moscow Region, and if they can repeat that feat this week, their Top 16 hopes will be looking rather positive with just two more rounds to play after this week. 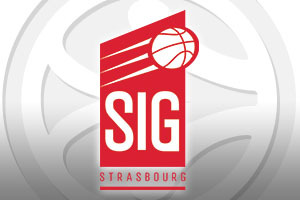 This looks like being a very tight game so take Strasbourg at +1 at odds of 1.90. If you are keen to get involved with the Over/Under market, you should look to go OVER 152.0 at odds of 1.90. Bet Now!